Queen Anne's Revenge: where is my mind? In an effort to curtail the rather unpleasant (and repetitive) posts that this tool throwing, tantrum inducing madness that was this past week would have entailed, I decided that silence was the best answer. We survived, and this week seems to have crawled back on track . 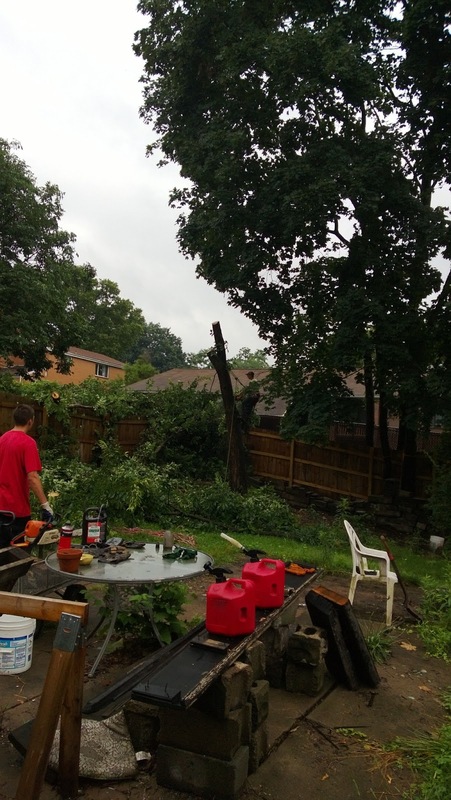 . . After countless calls to tree trimmers and numerous no-shows, someone called us out the blue Monday night (some mystery person had given him our number), and early Tuesday morning he showed up after driving an hour in the pouring rain, and had the tree down in an hour and a half. 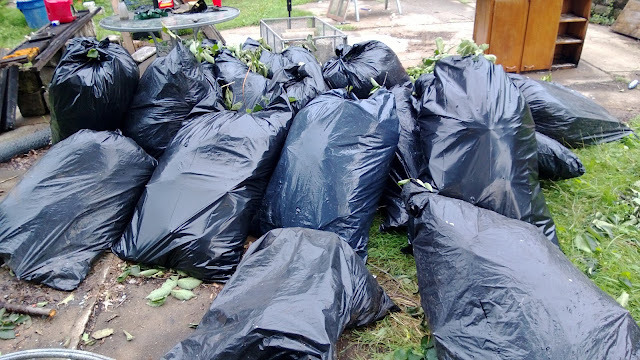 The catch was, he didn't have a chipper, and didn't have time to cut the logs, so the past few days have been spent bagging leaves and branches, and cursing our chain saw. only the beginning of the pile . 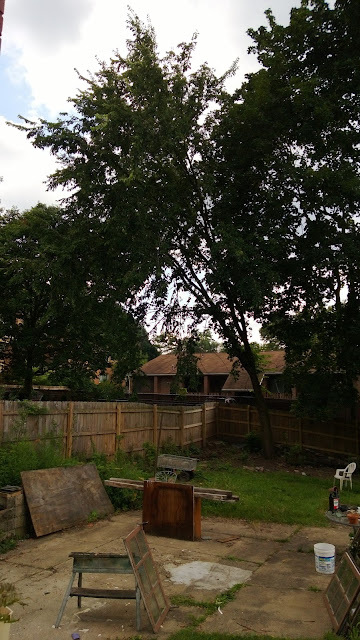 . .
With the tree taken care of, the foundation should begin early next week. We spoke to the owner of the company the other day and everyone seems to be on the same page regarding our concerns over disposing of concrete, drainage issues etc . . . There is always a leap of faith involved when dealing with jobs that are out of the ordinary like this one, especially when you're working alongside your contractors and begging them to cut costs to the degree we are . 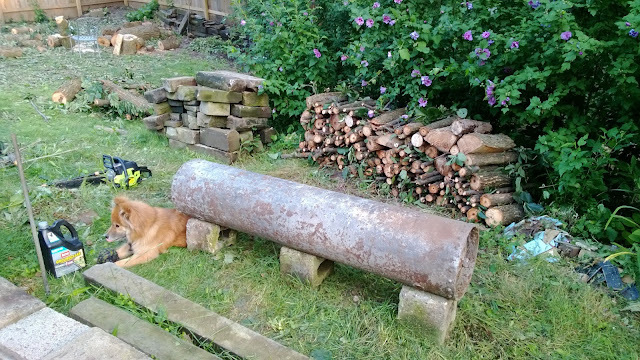 . .
We haven't just been moping around the house though, we have projects in spades. Since none of them are finished though, some teaser shots will have to do. *way out in the water, see it swimming . . .